1869 Indian Head cents are scarce issues that were struck in a relatively tiny small number – much smaller than than any previous standard Indian Head date. This fact alone makes the 1869 penny a very challenging coin to find, especially in a choice, original condition. Unfortunately, many 1869 Indian Head cents have been damaged beyond recognition or destroyed, and many that haven’t were cleaned, dipped, or otherwise altered. Really, very few, even in the grades of Good, Very Good, or Fine, exist in solid, problem-free condition. 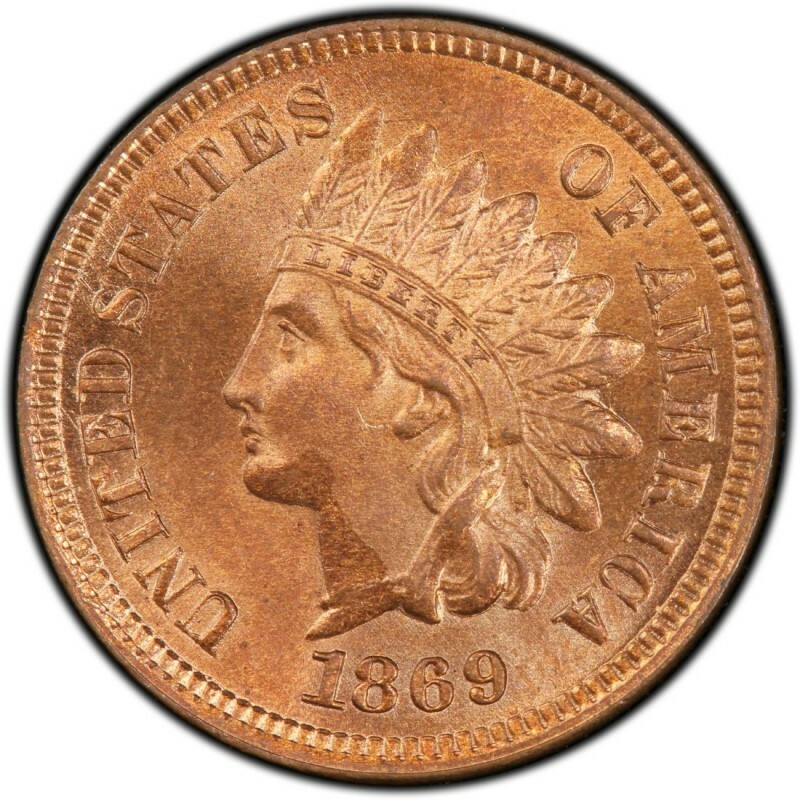 In all, 6,420,000 business-strike Indian Head pennies were made in 1869, and about 600 more were struck as proofs. Good-4 1869 Indian Head pennies are worth $90, while proof versions sell for $3,100. It should also be noted that an 1869/9 overdate penny variety exists, and the mintage of these is incorporated into the business-strike count above. James B. Longacre, who served as Chief Engraver of the United States Mint from 1844 through 1869, was the designer of the Indian Head penny. Along with the Indian Head cent, which was first produced in 1859, he also designed the two-cent coin. 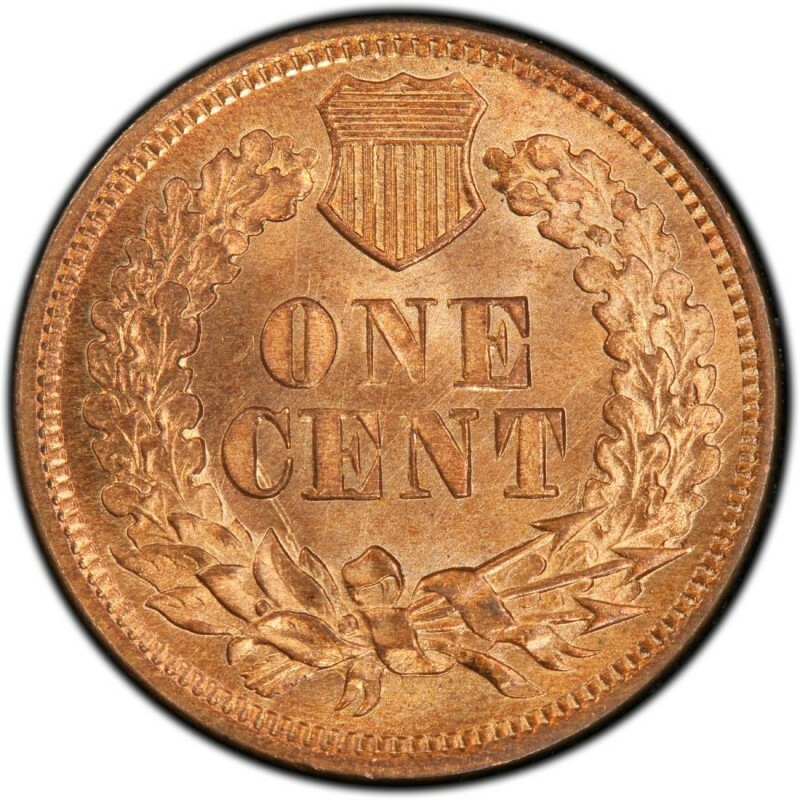 The two-cent piece is most well known for becoming the first U.S. coin to bear the words IN GOD WE TRUST in 1864. As for 1869 Indian Head pennies, many people think they depict an actual Native American. The lady on the coin is actually Miss Liberty, who in this case was modeled by Longacre’s 12-year-old daughter, Sarah.